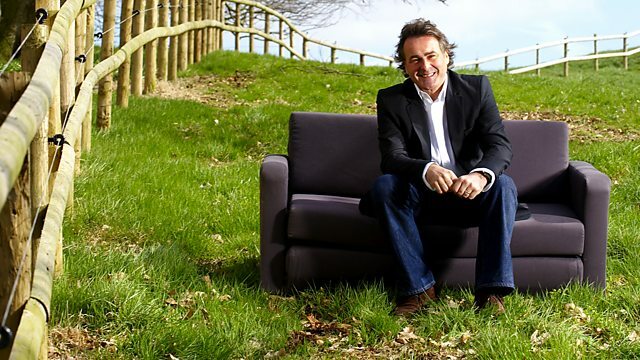 Wiltshire 21 ‹ Series 12 Reversions ‹ Flog It! Antiques series. Paul Martin presents from Longleat, Wiltshire, with experts Michael Baggott and Claire Rawle. A collection of Tibetan items results in worldwide interest. Browse content similar to Wiltshire 21. Check below for episodes and series from the same categories and more! I'm on the roof of one of the most extraordinary buildings in the country. right up to our present queen, Queen Elizabeth II. this magnificent house becomes our backdrop for a valuation day. So I am going to hoist the flag for our visitors. today we are at Longleat House in Wiltshire! decided to open Longleat to the public on a fee-paying basis. This unprecedented idea was a gamble. and the country was suffering from austerity. each paying half a crown to tread where kings once stayed. who are going to be treated like royalty. and hoping to coax out the crown jewels, is Michael Baggott. What do you do to keep your biscuits, if you've got no lid? And the lady of the house today is the ever-charming Claire Rawle. That's just the job! Parasol. I tell you what... Could I borrow? Do you think? I think, with a frilly edge, Claire, it's far more you than me. Oh, I don't know, Michael. where the valuations will be taking place. And we've got a rather special show for you today. When Nick brings in this mysterious item, Claire's intrigued. wrapped in paper in the snow. So he actually just found it, wrapped up in the snow? And this teapot leads to a momentous discovery! We could be rocking and rolling. to discover some of its fascinating history. the valuations are already under way. and take a closer look at what he's found. -because you've made my day. -You've brought this little chap here. about 40, 45 years ago. He was ploughing, and it literally turned up. So he wasn't out with a metal detector? -They hadn't been invented, had they, then? How do you find something as small and delicate as that? Because he was called Hawk-eye! Do you know what it is, actually? Well, not really. I just know that it's a very early coin. You've got a beautiful half guinea in gold. and we've got the motto and, of course, the date 1774. On the obverse side we've got King George III. Well, we could see that. Coins come down to rarity. The main thing is condition. that slight knock to the edge. shifted it out of the soil. In all other respects, the condition is absolutely wonderful. and this is very fine to extremely fine. everybody has been talking about the price of gold going up and bullion. I think, for a normal example you'd be thinking £180-£200. let's put £250-£300 on it. because we've got to protect your interests, as well. -So we'll put a reserve of £250 on it. and it's been in the family... Why sell it now? Because it's stuck in a drawer, nobody sees it. If a collector had it, they might at least put it on show. but most coin collectors have cabinets. -It's going from a deep drawer into the thin drawer. as long as somebody would appreciate it, then that's fine. Thank you so much for bringing it in, you made my day. something like that in your own back garden! is another lucky discovery twinkling in the sunshine. -Well, hello, Ian. Nice to meet you. Now, I'm not, I have to admit, the greatest fan of glass. But I do like cranberry glass - this rich red colour. Tell me a bit about its history. I bought it about three years ago from a charity shop. meant that two art forms had been used in it. Yeah, because it's quite tricky, isn't it, really? applying metal to a glass body. at the turn of the 19th, 20th century. Being red, it has gold added to it. which always makes it more expensive. Although it looks like pewter, it's actually silver. It's hallmarked. It's got a modern Sheffield hallmark. I think it's from about 1989.
and don't seem to have damaged the vase, at all. and, obviously, you've the silver addition on the neck. So, I think you'll see a bit of a profit on your hands. It would be difficult not to, really, wouldn't it? £40, £50 - that sort of region. I don't how that grabs you. We'll see what happens at auction. It really is a scorcher today. and there's a real family atmosphere. Chris, Sally, thank you for bringing me boxes. it's either fish servers or fruit knives. although it's not very PC - ivory-handled fruit knives. Often these sets are electroplate and ivory. -You've got ivory and solid silver. Which is a bit odd, really. -it doesn't like it at all. If we look at just a couple of pieces. We've got the full set of hallmarks. Everyone will know that the lion passant is sterling silver. -Date letter in the centre, which is for 1859. And the last mark is Queen Victoria's head. And the monarch's head as a punch is the duty mark. to say that it has been paid. Better if they were fish servers. Because people still use those today. Fruit servers is hardly ever used. and had a knife and fork to eat your fruit? Well, I think we'll be sensible and say £150-£250 for set. -But a fixed reserve of 150. But I think, on the day, we can just hope for a couple of very refined Wiltshire folk. I'm sure there's some out there! as our experts bring all kinds of treasures out into the sunshine. Good to see you here today with your early form of cinema, in a way. It is a little magic lantern. So what was the history behind this one, then? It was always brought out when I had a birthday party. -My father used to have a cinema show with these on a sheet. -because he did it every time until I was about ten. And that was all my memories of it. And then they were put away. -because they're not fast enough. coming out of it, cos it should have had a candle originally. -Yeah, but my father actually converted it. form of lantern, because of course, they come in all different sizes. and photography was still in its infancy and very expensive. they are lithographically printed rather than hand-painted. and then the slide goes through there, in front of a big lens. And the light shines through the back. -I think he had a converter to put the small ones in. -He had a piece of wood that he put the bits inside. -You had, like, a holder. And then, of course, the images were projected out onto the wall. These are known as story slides. I quite like the one here, where there is a lady. And she is obviously listening at a door. And she is listening away. and slams it into her face. The lanterns themselves don't have great value. It tends to be in the slides. It is still not going to be huge value. is going to be in the sort of £100 to £150 bracket. but just tipping it under the lower estimate, say at about £90? What are you going to spend the money on, then? -We've lived in the same house for 43 years. -to be done up again. -I need money for home improvements. and we can do lots of painting in your house. and this crossing point is still at the heart of the town today. with the wonderful ribbing going through the tunnel. so many people crossing over the water ended up falling in it. a task it has been performing for more than 700 years. on the bridge just there, well, here's the key for it. So let's go and investigate. where local drunks and troublemakers were left overnight to cool off. Well, you wouldn't want to be slung in here, would you? And I would not want to be downstream of that. giving the impression of a pretty, sleepy Wiltshire town. a manufacturing town from the 16th century onwards. which kept it busy for hundreds of years. once home to spinners and weavers. Everyone worked from home. It was a cottage industry. you can see the windows are wider up there. That's where the looms were situated. The more sunlight, the more hours you got in. but nothing nearly as much as the merchants who sold the cloth. between the weavers they employed and the tailors they sold to. "to have clothiers worth £10,0000 to £40,000 a man." Now, that's the equivalent of around £1 million to £5 million today. And the evidence of their wealth can be seen all over Bradford-on-Avon. That house was once owned by a clothier. of the changes the turning of the 19th century brought. the Industrial Revolution brought mechanisation to textile manufacturing. which used water to power the looms. this area was one of the worst industrial slums in Wiltshire. with often around ten people living in each of them. There was no mains water. Water was gathered from a well below and carried up this steep hill. And of course, drainage was an open cesspit, which often overflowed. It's hard to imagine, with this place being so beautiful today. cloth manufacturing in Bradford was in decline. were producing cheaper, more affordable cloth. and the mills closed down. In the 1800s, the outlook was bleak. But salvation came from an unexpected quarter. became the birthplace of the rubber industry in this country. manufacturing everything from tyres to wiper blades. Millions and millions of rubber washers were made. which was started in the 1960s, and it's still going strong today. for the new Mini car. ..I think he did a pretty good job! and applied them to bicycles. smashing the myth that small wheels meant slow wheels. seen as a minibike to go with miniskirts and Mini cars. and they are still being made here today. which goes right through Bradford-on-Avon. looks to have a safe future too. but right now it's down to the bidders. Let them decide exactly what it's worth. we're taking to auction with us. as he was ploughing that field. to spot it in the Flog It! queue. ..but will the silver fruit cutlery? It's attractive, but rather out-of-date in today's world. Only 20 miles from Longleat is the historic market town of Devizes. when many of its finest buildings were erected. now operated by a father-and-son team - Alan and Andrew. Well, this is the moment I've been waiting for - it's auction time! Don't go away, anything could happen. Here, it's 18% - that includes all the other costs, and the VAT. Let's get on with the sale. and our first item to go under the hammer is the fruit cutlery set. They're ready to go, as a presentation set. They are quality, but it's something that nobody really wants to own. The fruit knives have always been the ugly sister of those sets. Good luck! That's all I can say, good luck. They're going under the hammer at right now. 12 place setting, Martin Hall. Nice bit of silver in these. We can't weigh it, but there is a nice bit of silver. One I got, one I got, 110. At 100, is there 10? Got 120. Is there 30? At £120, not quite enough. Is there 130 anywhere? Quick! getting £300, £400 a set at auction. So we took that into account, but I think just the wrong day. Yeah, tough thing to sell. I thought they would struggle. -But I had my fingers crossed for you. but maybe on another day they might do a bit better. Going under the hammer now, we've got some cranberry glass. A little bit of Bohemia. -In fact, Ian, you paid £2 for this, didn't you? We're going to turn that into, hopefully, £30 to £40. Why are you selling it now? I don't collect glass, I just found it so attractive. -And you bought it cos was a bargain, really. -Let's face it, it was, wasn't it? -It's nice. It's very pretty. With a rather unusual silver collar around it. because it's a little bit of detail that will help get this one away. -And it's not too big. Some of them can be just too pretentious and showy. But this one is quite nice. So let's find out what the bidders think. 36. At £34, am I done? Done. Hammer's gone down. You were spot on, really. On a £2 investment, I think it's brilliant. I wish we could all do that every day of the week. Five. 30. 35. At £30. with David's early projector and the slides. because my dad never had one of these. It's the narration that I would think would be totally entertaining. -I think we as children got a little bit fed up with them. -Because we had them at every birthday party. Out they come, and at Christmas time. -I agree with the valuation. Good luck. approximately 60 of them in total. £60, then. 60, I got. On the maiden bid. 70 anywhere? Is there 70? I want a little bit more. It's not quite enough. Ladies and gentlemen, that's not quite enough. I nearly lowered the reserve. Reserves are a good thing. -cos you'll never buy it back. -We won't. Go in the loft again. Well, I was thinking of entertaining the grandchildren. let's hope we have better luck with our next lot. possibly with one of the oldest things in the entire sale. The George III half guinea, belonging to Sue. I absolutely love the story. I think it's lovely. -Obviously, valued for over melt. and it is in very fine condition. I think it is. I think it's superb. One of the best I've seen, apart from the little edge. -And I could live with that. -I could. It's not on the face. This is the gold George III half guinea. I can come straight in at 160 on it. At 160. I've got 170. At 250, is there 60? The nice thing is we put it in over scrap. and someone's appreciated that here today. -Yes, it certainly won't go to melt. Stunning. -We'd no idea what it was. and enjoy spending the proceeds from the auction too. when we come back later on in the show. This is a dream, really. And that's all to come! But first it's time to head back to our valuation day venue. of Elizabethan architecture in the country. and to discover some of its hidden secrets. you really need to travel back in time, back to when it was built. purchased the former priory at Longleat. and fortified manor houses built around a courtyard. The focus was definitely inwards, the priority was defence. and the remit was fortified architecture. In 1558, Elizabeth I came to the throne. both relative peace and prosperity to the country. Queen Elizabeth I travelled around her kingdom a great deal. huge great mansions designed to enhance your reputation. It was a symbol of power and family permanence. to be built opening outwards, the outside house. It was saying, "Look at me, I'm here to show off and impress." And as architecture goes, that's a supreme statement of confidence. known as the Italian Renaissance. in England, a dominant feature of which are the windows. Back in the 1500s, glass was hugely expensive. In fact, if you moved house, you took your windows with you. with more windows than walls, was a statement of extreme wealth. 'And the bold hammer beam roof. Kate, can you tell me a little bit about Sir John the builder? of going to service with Protector Somerset. at that period and had four or five really major projects on the go. Wow, so he's bringing all these elements here to Longleat. a classical Renaissance building style, to his own house. and completely not suitable for an upstart from Shropshire. -And are these the floor plans for Longleat? -These are plans of 1800. You can see just how complicated an interior was at this stage. within the court that you can look down on. Gosh, it's a maze when you look down on it! worrying their heads about how to sweep the chimneys. so that they could be sure which flue connected to which hearth. They were cleaning the right one! -This dates from about 1912, 1915.
and you think, "Right, I've got my roof plan, that's the one." It would be a good day to go up and look at the roof for yourself. 'than up the original 16th century stairs? Well, no wonder the chimney sweeps were confused! Just look at that! you wouldn't know what room you were standing above. 'punctuated by a forest of chimneys and banqueting houses. this one actually now contains the bell tower. conversation, and, of course, take in these stunning views. a place of maybe too much privacy, if you know what I mean, wink-wink. 'And privacy was something of an issue. 'is pretty much the same as it was in the Elizabethan period. fittingly, the art on display here today brings us full circle. These beautiful, fragile tapestries are as old as the house. were priced more highly and valued more highly than paintings. and precious artefacts in this magnificent house. that upstart John Thynne did a rather splendid job, don't you? 'the good people of Wiltshire are still arriving. that's always promising. We've got a lovely period bookplate. And that would be for the original owner. they were expensive books and you needed a mark of ownership. So, is that your family crest? -Have they been in your family for generations? -to claim it, yes, but no. so her daughter was going to throw them in the skip. -So she saved them from the skip. -She saved them from the skip. ..and she was going to throw them away, so we rescued them again. to chuck them in the bin. Thank goodness for a nice, heavy volume! There we go, the Christian's Family Bible - the Old and New Testaments. And there is the date of publication - 1767.
fully tooled in gild, the most expensive bindings. always expensive to put illustrations into a book. It is much easier just to do the plain text. The artist has to engrave it, it has to be done separately. we've got the Tribute Money from Matthew. is inscribed or dedicated to a different bishop. Which is a nice touch, with the bishop's arms there. And then if we turn over, we've got one more there. And we've got the Wise Men's offering. I wonder how much they'd offer for these? -No, we don't want them to get damaged any more. No, they're quite damaged now. We just don't like people leafing through them, to be quite honest. they would be worth once they were restored. -People do collect Bibles, particularly in America. I think that's where these will probably have the best market. we might be looking at many hundreds of pounds. Because it is a nice early edition. we've got to be realistic and say £50 to £100. -So, if you are happy, we'll put them into the auction for you. and the world will see them. That is quite a big market to sell to. And we'll see if we can catch ourselves a bidder. with your glorious teapot, which I just love. -What's the history of this one? was a captain in the Indian Army. with a guy called Colonel Younghusband. wrapped in paper, in the snow. I inherited it. So that's the story that I got from my mother. OK. So he actually just found it wrapped up in the snow? no idea at all and it's value, I have no idea. of the 19th century so it probably wasn't that old when he found it. cos I think these were actually in fairly ordinary, daily use. and holidays when the family came round. I think they were used daily. My understanding would be the same. sort of brass embellishment on them. Makes them look very primitive but I think actually is charming. and within that I'm sure there's a lot more history involved. You've obviously decided that it's time for it to find a new home? -and that's perfectly OK for me. and you've got other things that relate to that journey as well. -probably 80-120, good old auctioneer's estimate, that. -Does that feel OK with you? -Yes, I would think so, yes. -I think a reserve perhaps of £80 with discretion on it. and I'm sure there's an awful lot more behind that. ..and watching it fly away. 'being more to the story and history of the piece are correct. 'for the very first time. 'by British forces, possibly to counter feared Russian influence. 'And around 3,000 Tibetans are thought to have been killed. 'In terms of associated items, this area requires specialist knowledge. 'as we'll see later on in the programme. Dee, thank you for bringing this wonderful large snuff box. Erm, before I tell you anything about it, what do you know? It's my partner's and apparently it belonged to his great aunt. It's a very unusual thing for a great aunt to own! -Was she a snuff box collector, or...? of a family of three, and that's the largest one. It's certainly one of the largest ones I've seen. -..that's been carved as a lady's shoe. -that's all done with little brass pins, and they're nailed in. It's a sort of pique work, which is gold inlaid in tortoiseshell. Same technique, small pins to form a decorative effect. So do you think this would have been a table snuff box? unless you've got a giant's pocket to put it in. at a particular point during the evening. But we've got a label there, that's interesting. -"Henry John Perkins, Fox White City Exhibition Circa 1875." I would have thought it's more likely to be 1840-1850. But we'll just call it a Victorian snuff box. Any idea of what the value might be? let's say £300-£500 and put a fixed reserve of £300 on it. And then hopefully we'll see towards the top end. any plans for what you'll do with the money? -We're going on holiday later this year. not once but twice, so let's hope they find a new home. 'We are all on tenterhooks with this teapot. 'We've seen how the story starts, but where does it end? 'Certainly not with an estimate of £80-120, I can tell you. 'And last but definitely not least, this huge snuff box. Dee, good luck with the snuff shoe. Absolutely love this. and at £300-£400, it's nothing to be sniffed at! It just sits in the house. It's not doing any good. and start a little collection? Because, really, they look great on a shelf or display cabinet. to the top end of that estimate. Here we go. in the form of a boot. Lovely thing. 400, 3 start me, 2 get me going. It's a good start. It's a good start. Yes, job done, hammer's gone down. -That was a good valuation. -Thank you for bringing it in, as well. who's right next to me. Good luck with these. I know this kind of thing is really hard to sell. -but these aren't. But we'll see what we can do. they're the best I've seen. They're the best I've seen. If you polish them up, they look very tasty on a bookshelf. 20, I've got. They're all three of them, remember. 20, I've got. 30.
have a rather revealing chat about the lot we've all been waiting for. part of a larger collection, that he's since decided to sell. He's brought them along to the auction room. I know, Alan, you've done some research. You've had these for a couple of weeks now. -a very significant and important collection. Talk me through what we've got. How many lots, and what sort of money's on them? -OK, starting with the photographs, we've put them into three lots. Because we could have made them an archive. But it would have made it probably quite an expensive archive. Yes. For two or three people to invest in them. Wonderful items of social history. They're extremely rare. What do you expect to get for the photographs? 60-odd photos. Something in the region of £2,000-£3,000 per lot. That's a lot of money, isn't it? -Were you happy with the teapots at £80? I tested the teapot. It has a very high silver content. OK, let's look at this little figure. I think she's stunning? She is absolutely stunning. We tested for silver. It's a very low-grade silver, if it is silver. But it's still an important artefact. There's a hole to test beneath. So we had to just leave it as "silvered". But, in terms of her quality, it's absolutely stunning. -How much do you expect this to fetch? -She could be a surprise. We've put a very conservative estimate. I think she's about £800-£1,200. That's come and buy me with bows on. This little fellow here. I think this is so beautifully made. and that's all the little skulls wrapped round his shoulders. -What a jolly little fellow! -Wow! What do you expect that to do? -Has there been a lot of interest? Interest from China? China, the rest of the world, United States, Canada, Britain. Conservatively, we put in 12,000-13,000. -12,000-13,000 alone on this one? I hope it's a come-and-buy. I can see it doubling, potentially trebling, that figure. Which puts these at around 20 as well. -We could be rocking and rolling! -We could be rocking and rolling. The teapot has turned into, what, £80,000 on a good day? And I expect you've done a lot of marketing as well. Australian newspapers, Indian newspapers, Himalayan newspapers. You're a good auctioneer. That's what you have to do. We really want to make Nick as much money as possible. That's what we're here to do, isn't it? 'it's not just about the item. -Nick, it's good to see you again. Boy, that Tibetan teapot has certainly caused a stir! Were you aware how significant this collection was? all the way through my life, really, childhood and so on. My wife was saying to me, "Perhaps you should sort of sell them." So, she saw the advert for Flog It! at Longleat. none of these items would have seen the light of day, I don't think. an expedition that hardly anybody knew about. from every museum you could imagine. I think these are going to go for a lot of money. Hopefully, it's going to be a day in your life to remember. because I think the numbers will add up right now. which led to the rest of the collection being brought along. advice on them, because they're so specialised, lovely, lovely, things. And Alan has done a lot of research. are going to be on the phone and online. for this first group of photographs. -£4,000? 3, start me. 2, get me away. They're having to wait for the confirmation on the phone. 3,600 anywhere else in the room? 3,650, 3,700. 3,800, back with you. minds up, bidding on the phone. I'm going to be good to you. 3,950. Is there 4,100 anywhere else? Yes, first lot done, at 4,050. Happy? OK, here's the second group of photos. 2,300, 2,400, at 2,700, is there anybody else? -Not bad for 36 photographs! This is the first of the figures. Here we go. -That's good value for money. You can wake me up in a minute! Wow, we're making history here. You are a big part of this. Thank you. Well, all I can say is thanks to you guys, really. It hasn't finished. It really hasn't finished. We're going to have some more. This was actually where we came in. This was the beginning of the journey, yes. 1,200, straight in. At 12, I've got. Is there 14 anywhere else? Am I all done at £1,900? -That was good for a teapot! That's brilliant, that's amazing. Well above estimate. OK. Now, this is the big one. Alan, in particular. He really rates this. Let's say somewhere around about 25,000? At 25 I've got, 26. Feels like a dream, really. "Gosh, I've got so much money, what am I going to do with it?!" That is the most expensive item we have ever sold on Flog It! -You must be. Come on, come on. Talk to me. -It is fantastic, yes. Fantastic. -You're taking this very calmly. You should be jumping up and down, now. maybe a couple of hundred pounds from the teapot, you know? And the other bits and pieces... A few hundred. If I was lucky. -It just goes to show you the significance of this collection. Fantastic sale, very, very pleased with it. The Tibetan things went absolutely beautifully. The photos and the teapot stayed in the United Kingdom. One lot went to Europe. it will find its way back to Tibet, where it belongs. 200 I've got, 220. 240, 260. 280, 300. At £300, all going! We've certainly ended on a real high, here. £118,300. but it's still an awful lot of money. That's a Flog It! best. -That has just made my year, it really has. It really has. there's going to be many more big surprises. Stay with us. Paul Martin presents from Longleat in Wiltshire, home to the world-famous safari park and 16th-century Longleat House, and is joined by experts Michael Baggott and Claire Rawle. Whilst picking out a selection of interesting antiques and collectables to be sold at auction, Claire spots an unusual Tibetan teapot. This leads to the momentous discovery of other Tibetan artefacts belonging to the same owner - a collection of controversial historical significance, which all end up under the hammer. With worldwide interest in these objects, will the Flog It record for the highest-value item sold at auction be broken? Paul also gets the chance to explore Longleat House to find out more about its controversial creator and wonderful Elizabethan architecture.